Upon deciding to start a family and get married, divorce is the last concept couples entertain in their thoughts. Frequently, couples are concern about the wedding and preparing for their future. However, whether people like it or not, divorce is a fact of life, and the incidence of divorce is quite common. It is normal to feel guilt, anger, and bitterness towards your spouse and life in general when undergoing a divorce process to the point of extracting or alienating the other parent from the child. Parental alienation syndrome is defined as distinguishing behaviors shown by children who were psychologically manipulated into demonstrating disrespect, anger and unwarranted fear towards another parent. Often, these practices are a result of the manifestation and influence of the constant parent usually the mother. The divorce which is mostly between a husband and wife is now carried over between parent and child relationship. 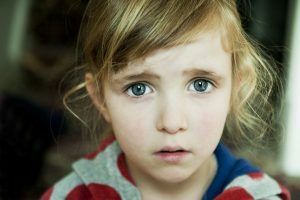 By nature, parents want what is best for their child; however, at some point in the divorce, a parent might inadvertently say or state something that might be against the other party which reflecting of its effects to the child’s wellbeing and mental state. Parentectomy (removal of a parent in a child’s life) is quite common in separations that aren’t mutual and usually caused by immense betrayal and mistrusts. Women often have a bad reputation since the custody of the children is usually given to them. To minimize the effect of divorce on the child and still maintain an environment conducive to father and child relationship, the mother will have to create a milieu of understanding for the child, but can also have detrimental consequences. There are few examples that mothers might unknowingly do that promote parental alienation. Giving the child false idea that he has a choice when he does not. Verbalizing to the child that their father can visit them anytime and state things like “nobody is stopping your dad from coming” or “you can go to your dad’s place anytime you want” when the court order says otherwise setups the child into conflict with the father. The child will then blame the visiting parent for not doing so. This builds abandonment and resentment issues between the father and child. It might be satisfying to see your ex-husband suffer but remember, it is your child who ultimately bears the repercussions of your actions. Oftentimes, the child learns about your conniving tactics sooner or later, and this might lead to even more significant problems such as rebellion and suicidal thoughts. Sharing with your child all the details and reasons for your divorce is an alienating behavior. The parent justifies this “tell-all” attitude as being honest. Your child is not your confidant or your best friend whom you can air out all the dirty laundry about your husband and your marriage. The motive of this behavior is to let the child think less of the other parent. Every child looks up to their parent as a role model. It is best to give them a general view of the situation and to assure them that you will still be a family no matter what and they would not lose any of their parents. Refusing to cooperate with the ex-spouse. It is difficult to be friendly or even to be in talking terms with someone who hurt you deeply. A parent might resist cooperating and coordination with the other parent on pertinent information such as school and medical records, schedules of school and extracurricular activities, and free time. This is against the law and sabotaging the relationship of your ex-spouse and your child. During this period, always think and decide using your logic and don’t let your emotions get the best of you. This entry was posted in Pariental Alienation. Bookmark the permalink.